The Seery Strings bridge has become recognized over the years for its precision fit, clean carving, and finish. We fit the feet of each bridge to exacting standards even on the most difficult tops. Getting full contact is important to the tone and getting the proper angle will help keep it from warping over time. The curvature of the top of the bridge is also of vital importance because it affects the playability. 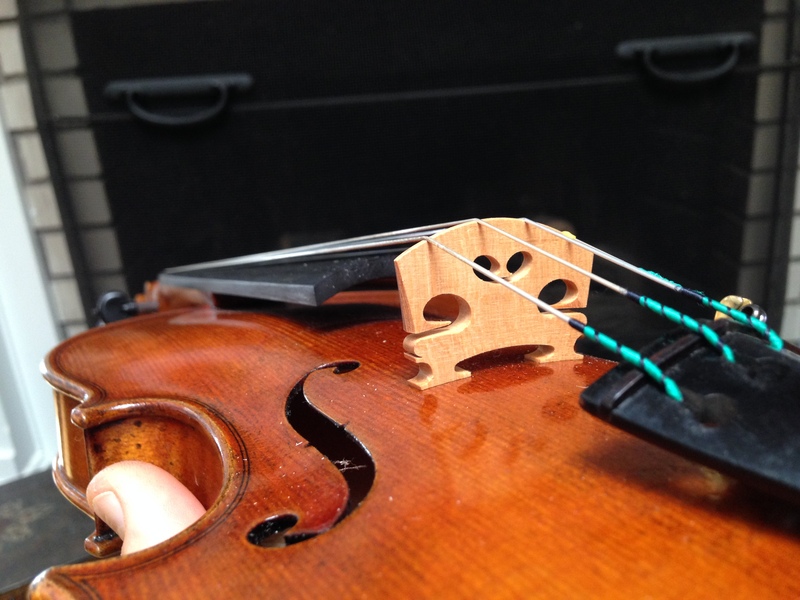 Though we generally use a standard curvature, we can alter that curvature to meet the needs of various styles and playing techniques. The string height is something that we take careful steps to ensure that each instrument is as easy to play as possible while attempting to minimize and/or eliminate buzzing even for instruments that are not otherwise optimally set up. We also try to compensate for seasonal chages that can change the bridge height as the instrument expands and contracts when it absorbs or expels moisture. The bridge thickness is also important. For student instruments we generally go a bit thicker to help the instrument stand up to the rigors that a young musician can put an instrument through. For professional instruments we take the time necessary to get the most tone and character that a bridge can provide by making a number of adjustments in the bridge’s weight and carving. We apply a “treatment” to all of our bridges which helps protect the bridge against the elements and brings out the beauty of the wood.